A fun fact about Ibiza – the island has a surprising amount of pine forests. Not only do they make a great change of scenery from the bars and business of the towns, they provide ample opportunities to enjoy a picnic together or seeing a side of the island you didn’t even know existed. 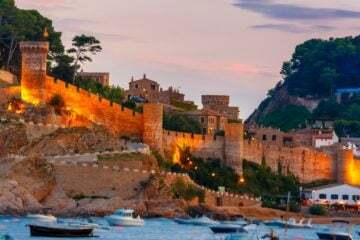 There are a number of forests across the island, but our top tip is to head to the island’s less-populated north-east side, specifically towards the village of Sant Joan De Labritja. Five miles north of there (and through a wonderfully cool and fragrant pine forest) you’ll eventually find yourself at Cala d’en Serra, a beautifully secluded horseshoe-shaped bay surrounded by steep cliffs and offering some of the clearest water in Ibiza for swimming and snorkelling. It wouldn’t be a holiday without a tipple or two, and Ibiza’s climate makes for some great grape-growing weather. 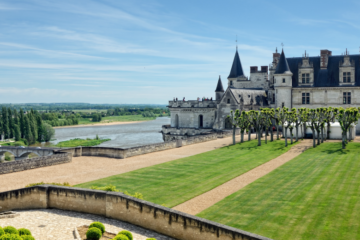 While many of the vineyards on the island are principally there to produce wine for families, a larger and more commercial wine industry is starting to emerge – which is well worth a look. Your first port of call when exploring Ibiza’s wine scene should definitely be Sant Mateu. It’s a bit of a trek but easy to find thanks to ample signposting, and tours of the winery itself can be arranged. You’ll learn everything about the wine-making process on the island and its history, and afterwards, you can sample some of the vineyard’s produce over a meal in the attached restaurant. 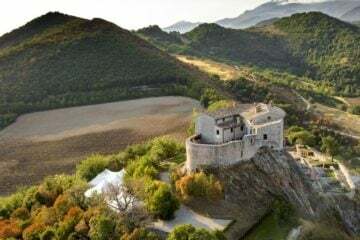 Also, well worth a look is Can Rich, an estate that (in addition to wine) produces olive oil and Hierbas Ibicencas, the local herb liqueur. It’s open to the public on Monday afternoons. Ibiza’s answer to Stonehenge is this contemporary monument by Andrew Rogers that sits atop a rocky coastal shelf, 10 minutes south of Cala Codolar along an un-signposted dirt path. ‘Time and Space, The Speed of Light’ was commissioned by Cirque du Soleil founder Guy Laliberte. This intriguing monument is composed of 13 basalt columns in the Fibonacci sequence with the tallest column standing at 10 metres high. 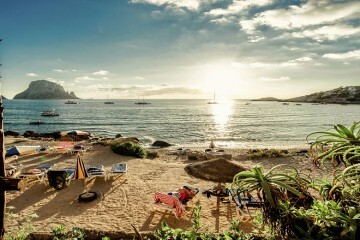 This spot is a great vantage point for watching the sunset so make sure you drop by towards the end of the day – you can even catch a glimpse of the Es Vedra Islands! 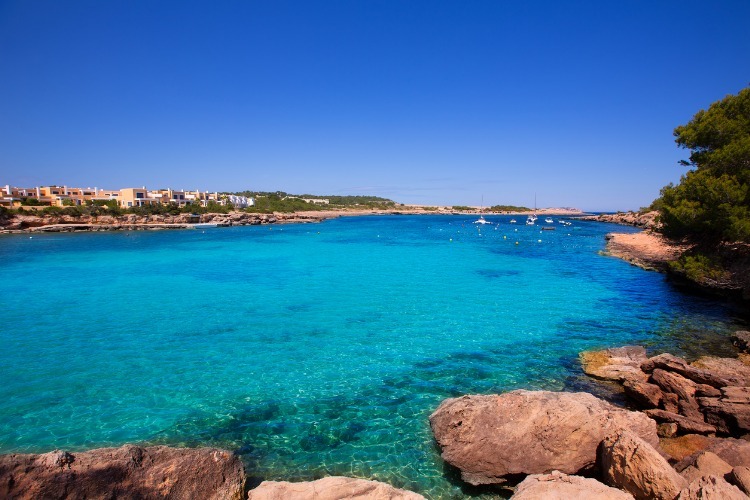 Formentera should not be overlooked, this magical little island is an excellent choice for a day out. With some of the best beaches in Europe, it would be easy to think you’d taken a ferry to the Caribbean! There is plenty to see on this whitewashed isle including striking lighthouses, gorgeous nature reserves, breathtaking views, and head underwater if you want to see the island from a different perspective – we promise you won’t be disappointed! 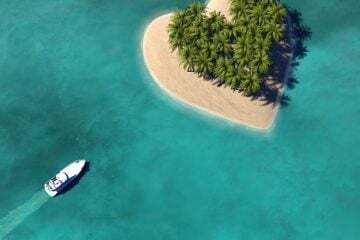 To make the most of your trip you can even charter a boat over to the island as there are plenty of little nooks which are best discovered from the comfort of your own boat. Dalt Vila – which literally means ‘High Town’ – is the older and (predictably) higher half of Ibiza Town. 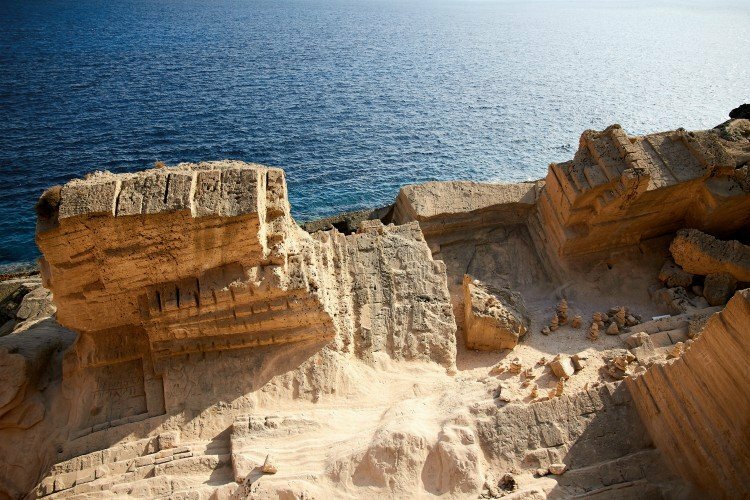 A UNESCO World Heritage Site, it’s where you’ll find some stunning examples of Ibiza’s history and culture – a story told in architecture, art and the various museums that can be found in the area. Inside the fortified walls you’ll also find shops, bars and restaurants, so take some time to wander around and enjoy the views across the Mediterranean offered from the bastions. If you feel like something a little more hands-on, try the Museum of Contemporary Art on the Ronda Narcis Putget. Celebrating the work of modern Ibizan artists, it makes a great change of pace and offers another, gentler perspective on life on the island. 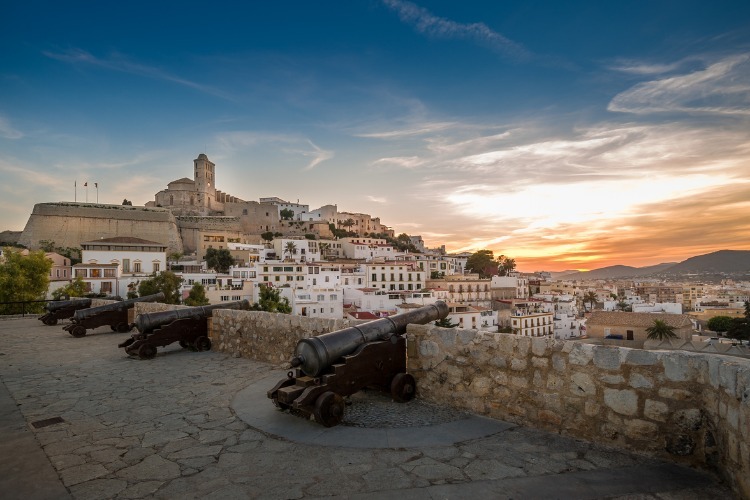 Another Dalt Vila can’t-miss is the Archaeological Museum, which is full of fascinating artefacts and objects that trace the island’s rich and fascinating history – for instance, did you know it was invaded by Norway in the Twelfth Century? Now you do! If you find yourself wanting a break from the fierce Ibizan heat, head towards the Can Marco Caves in the north of the island. On the path leading to the caves you will be greeted with stunning sea views, then inside you can follow the same route that smugglers once took to bring their contraband onto the island. At the centre of the caves, there is a spectacular music and light show to allow you to admire the centuries-in-the-making rock formations – stalagmites and stalactites galore! With such calm and tranquil waters, there isn’t a better place to try something you’ve always wanted to! Stand up paddle boarding (SUP) is a popular choice at the moment. Paddle Ibiza not only offer standard SUP classes, they also offer SUP yoga and pilates classes – great for any yoga fanatics. Old favourites like kayaking are always a safe but good option, the calm waters mean you can discover the dramatic coastline from the water. Kayak Ibiza offers a range of guided tours for all ages and levels. As you’d expect from an island rightly famed for its beaches, there’s some pretty impressive diving to be had in the waters around Ibiza. If you’re new to Scuba or already hold your own, one of the best companies to arrange a dive through is Orca Sub at Cala Tarida, who have 20 years of experience in diving the waters around Ibiza, particularly the iconic Es Vedra area. Their rates are reasonable, and if you’re lucky you may even spot a whale or a school of dolphins during your excursion. If that sounds a little too adventurous for you, you can always pick yourself up a cheap pair of goggles and a snorkel and enjoy some snorkelling in one of the island’s many wonderful bays and coves! Salt flats… At first thought they might not be your first port of call on your Ibizan getaway, however, these salt flats are truly a sight to behold. They glisten beautifully as the sunlight hits the enchanting pink hued water. The marshes are also used as a layover for migratory birds, keep your eyes peeled for flamingos from August to October and other rare birds. Plus if you have ever wondered what a two storey high pile of salt looks like then you’re in luck! Follow the dirt track drive and the salt mountain is unmissable, it is quite spectacular in the sunlight! This attraction is great as it is free and you can visit the salt flats all year round. Don’t forget to buy yourself some “sal de Ibiza” to take home as a little memento. What many people don’t know is that Ibiza has its own Lost City of Atlantis. Now I know what you’re thinking, how does Ibiza have its own Atlantis? Well, centuries ago this area was quarried to provide rock for watchtowers and the citadel of Ibiza. What remains is a labyrinth of caves, rocks, holes and sea pools, christened Atlantis by hippies who used to frequent the island in the 60s. 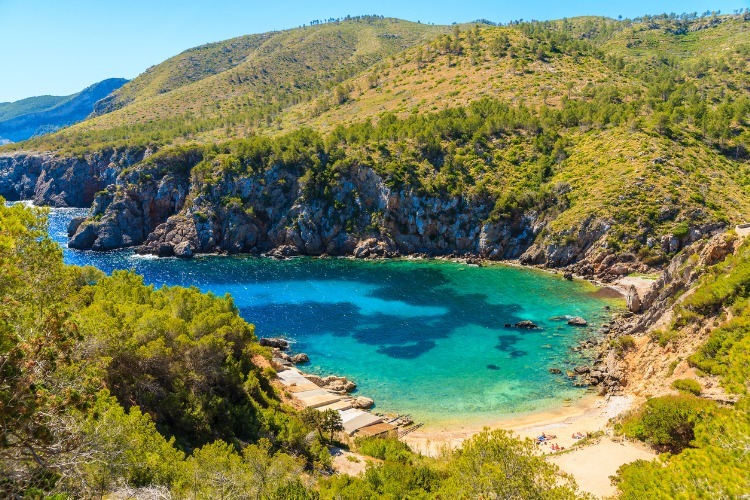 Originally called Sa Pedrera de Cala d’Hort, this spot is a little off the beaten track but is definitely worth the little hike for the coastal vistas alone. We think that this place is one of Ibiza’s best-kept secrets but would recommend that people with reduced mobility do not try to explore the quarry as the walk is at points steep and slippery. All throughout the island of Ibiza, there are various hippy markets just waiting to be explored! Local artisans sell their produce and crafts, browsing the market makes for an excellent way to while away the day. There are countless stalls with unique gift or souvenir ideas and many even have live music and street performers. The medieval market in May is certainly a highlight in the market calendar. Expect to see a myriad of different stalls, produce, animals, performers and historical reenactments. Check out this website for further details on where to go and when. And if you need a place to stay, don’t forget we’ve got a huge range of luxury villas in Ibiza for you and your friends to choose from! Don’t feel like looking? 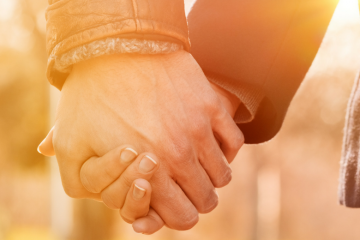 Give us a call on 0800 133 7999 or head to our site and contact our dedicated concierge team – they’re happy to do the legwork for you and find a luxury villa rental that’ll suit you down to the ground! This is what I was looking for in Ibiza! Very good post, very detailed and concise, Sa Cova Winery did not know, we will have to visit.